Project Description: Annual internal business planning document that encompasses all stages of Global Franchise Development. 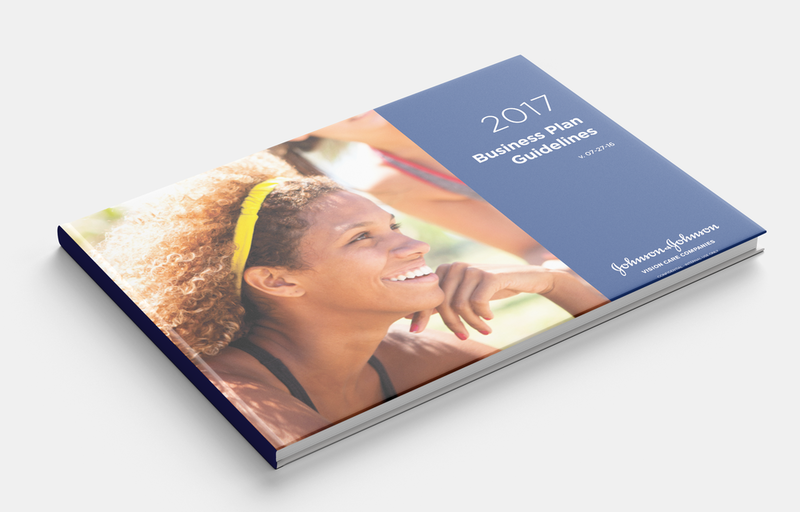 This document is affectionately known as the “ACUVUE Bible,” and guides all strategy for the following financial year. The document is distributed by the global team to all regional partners to enable their localization of the plans and goals. The document must be visual and clear enough to be easily understood by all markets, and take into consideration that English is not the first language for many of our partners. Challenges: Coordinating complex business strategy submissions from 30+ individual content submitters into one cohesive, readable, and clear business planning document.